Bella's turn to take a bath and get cleaned up for your show. Right, Bella? I can't stop laughing!. We need more help, Pluto! 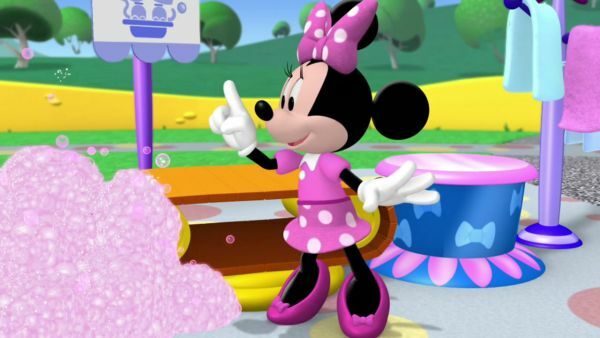 MINNIE: Kitty-kitty-kitty you're so pretty! 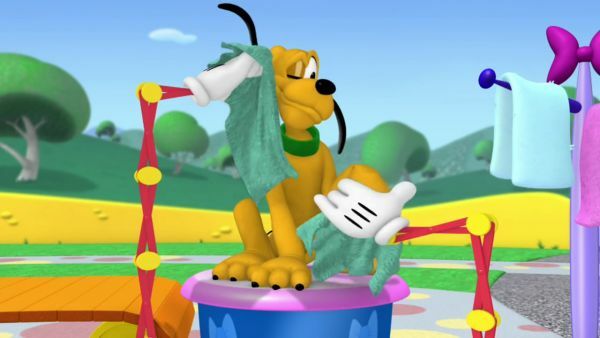 What's wrong, Pluto? Oh! Is there bubble trouble? Oh, dear! Pluto, you stay here and watch the kittens while I go help Daisy? Oh, my! DAISY: Minnie! Help! Hurry! 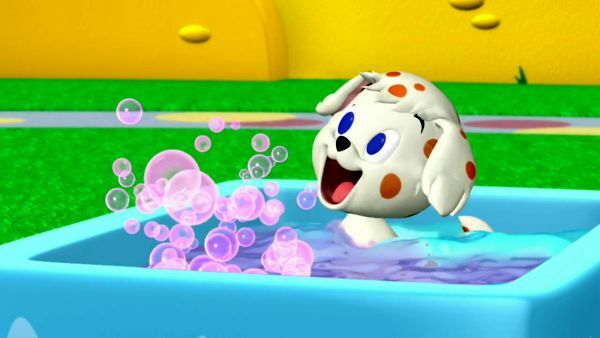 These bubbles are really tickly! MINNIE: Oh, dear.